What does it mean to be a “customer-centric” company? A lot of companies claim to be customer-centric and make their deliverables available based on customer needs. When push comes to shove, it can be easier said than done, however, and many companies in the technology industry fall short of customer expectations. When little or no guidance is provided, customers can feel like they’ve been left to their own devices (pun intended) This usually isn’t an intentional move on the company’s part, but customer perception is the reality. When you’re given little opportunity to get used to new features and functionality, moving into unfamiliar territory in a live production environment can be downright frightening. Companies like Salesforce, however, recognize the need to balance continuous product improvement with a commitment to customer reality. They understand how customers use the platform and just how scary implementing new features into current business processes and workflows can be. One of the great benefits of being a Salesforce customer or partner is being able to take new features for a test drive in a controlled environment before those features make their way into your production org. 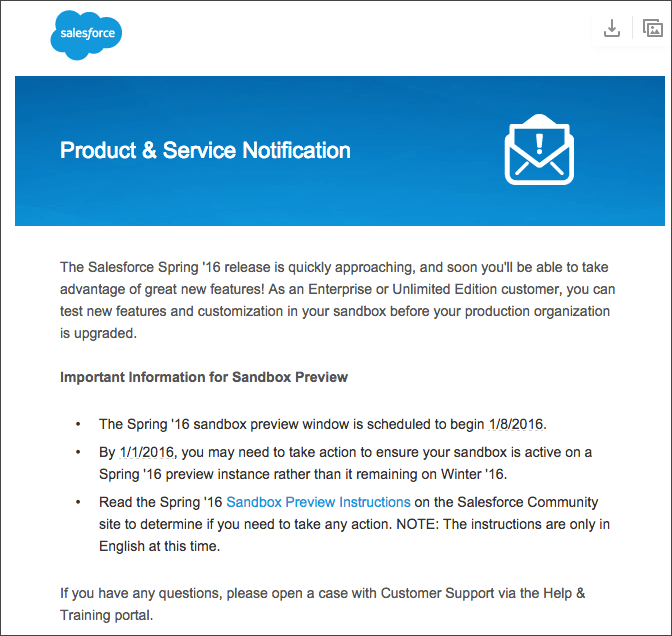 By communicating upcoming Sandbox preview periods far in advance, Salesforce gives customers the opportunity to process information about the upcoming release and try out new features in advance. 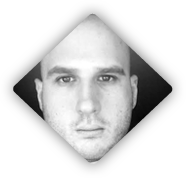 They also provide important information on critical changes to the platform and how you can prepare. This information lets the reader know what they need to do, when they need to do it, and what will happen if they don’t. They are also directed to more information via the “Sandbox Preview Instructions” link in the message. Truly customer-centric companies know that transparency is key and that empowering customers to more effectively use their products leads to better relationships and better use of features as intended. They also know how to avoid making their customers feel like they’re being thrown from a moving vehicle and are expected to hit the pavement running. Salesforce has become a true technology behemoth partly because of their feature-set, but perhaps more importantly, because of their true dedication to the success of their customer base. In my opinion, Salesforce truly walks the walk when it comes to being customer-centric. What do you think? Share your thoughts in the comments section below.